…and the steps are frosty. …and the windowsill is looking beautiful! Just beautiful! These signs of spring lift my spirit! Beautiful. 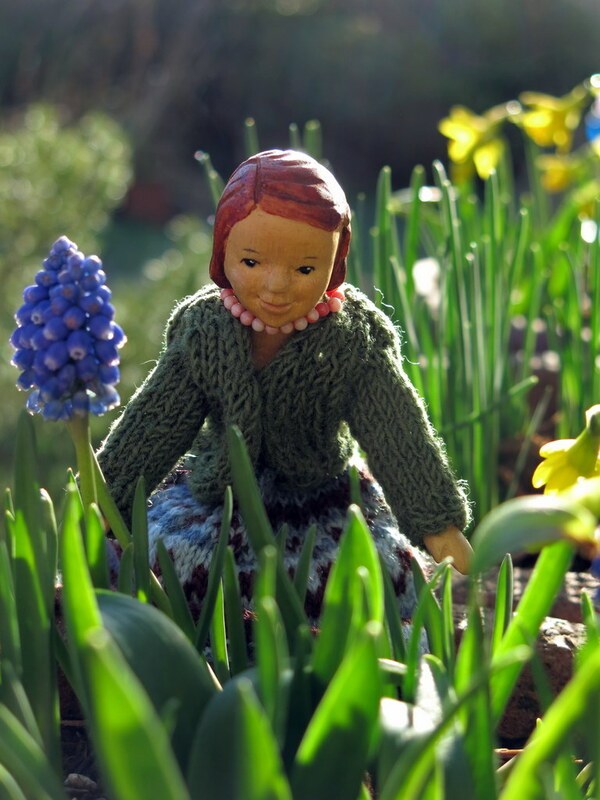 Grape hyacinths and snowdrops along with such a pretty outfit bring thoughts of Spring out in all of us here on Donahey. Thanks very much. 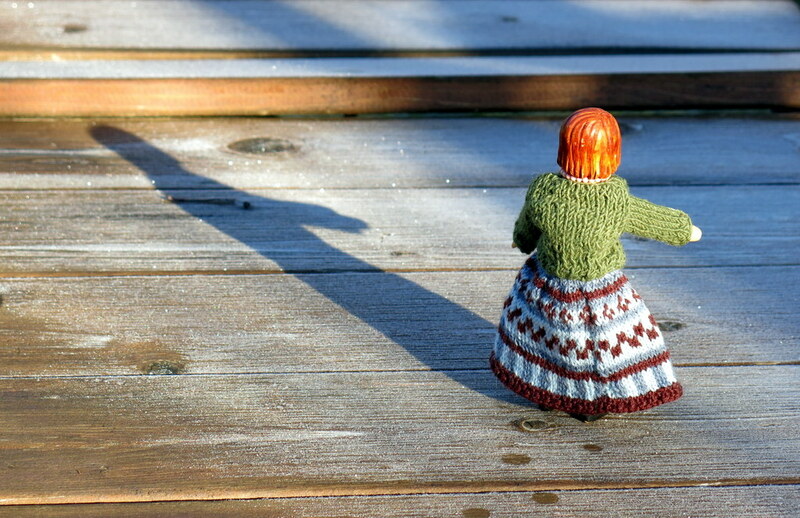 A Hitty friend knitted the pretty dress – I made the sweater. 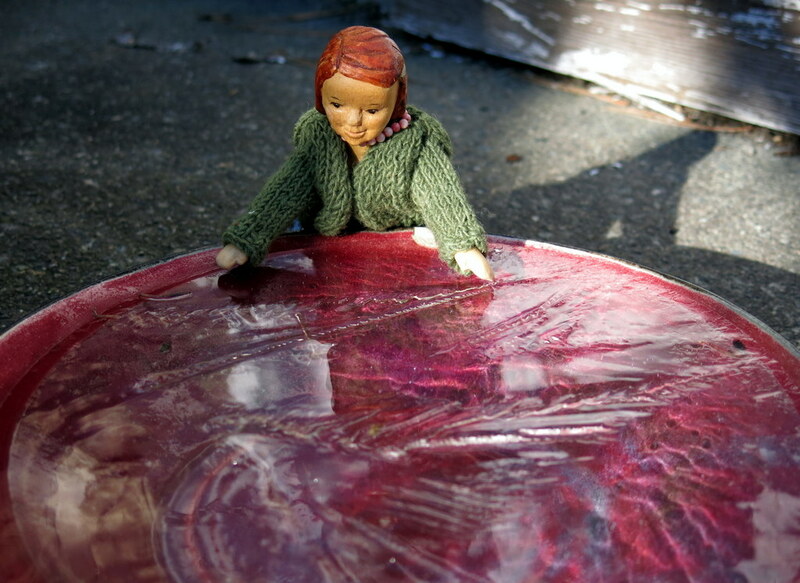 Aurelia was glad of the woolens, but didn’t need the extra layer of warm coat today! 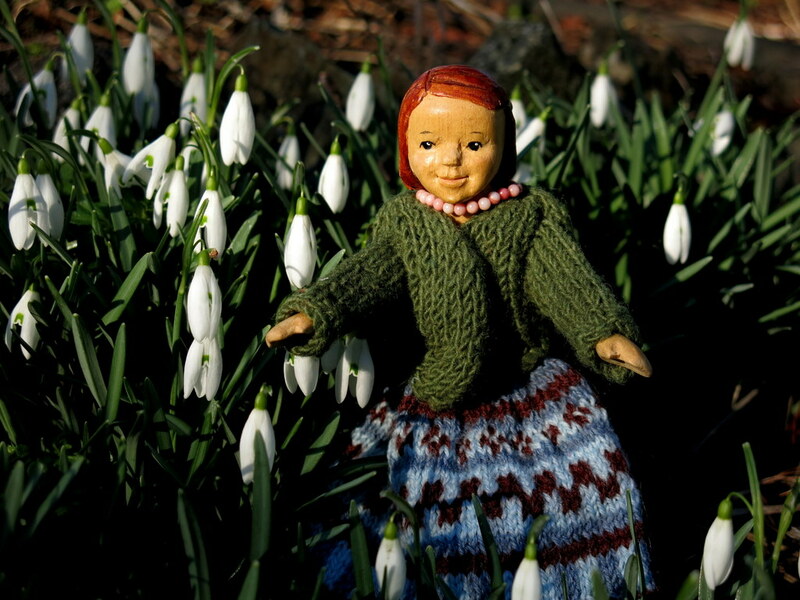 Although sunny here today, flowers will not show their pretty faces for a couple of months yet so yes, it is delightful to see such beauty in your region and as noted, with such a pretty outfit on your lovely wooden doll. The days are getting longer – we are so happy to notice that our flowers are noticing that too! Ah!!!!! There is hope! Spring is out there, somewhere. Lovely outfit, beautiful wooden and wonderful flowers coming! Thank you for reminding those of us still under a significant snow cover. We are glad if you feel encouraged, we mean to be hopeful, not indulging in heartless bragging…go away snow! This is Aurelia, who is happy that you like her smile – She and I are both glad that TC Vollum was able to rescue her smile from the dreadful splitty mangled carving that I was trying to do! Ah, Aurelia…thanks. Oh, yes, ATC miraculously saved the smile! The same way Janet has done for Hittys here! Fung and I are going to class in Vestavia Hills next week, and we can hardly wait. Sorry we won’t get to see you there. AHHH springtime…even with a bit of snow on the ground. Your girl looks so lovely in her knitted outfit. Thank you very much – we are sure spring is on the way in your neighbourhood too…just a few more weeks perhaps! The snow has almost all melted away here but no luck in seeing spring flowers peeking up from underneath the snow. One more month and that will change. So hopeful viewing Quimperland in what’s ahead. It will be so lovely when the flowers reappear in your neighbourhood! I am glad the flowers her instill hope, we are glad! 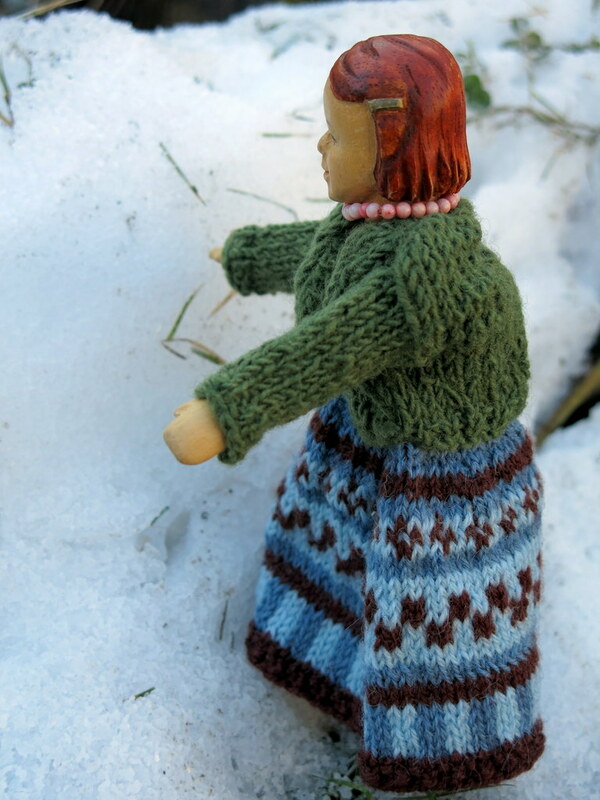 I forgot to say that I love Aurelia’s knitted finery which is so colorful and looks so warm, in that cold snow.